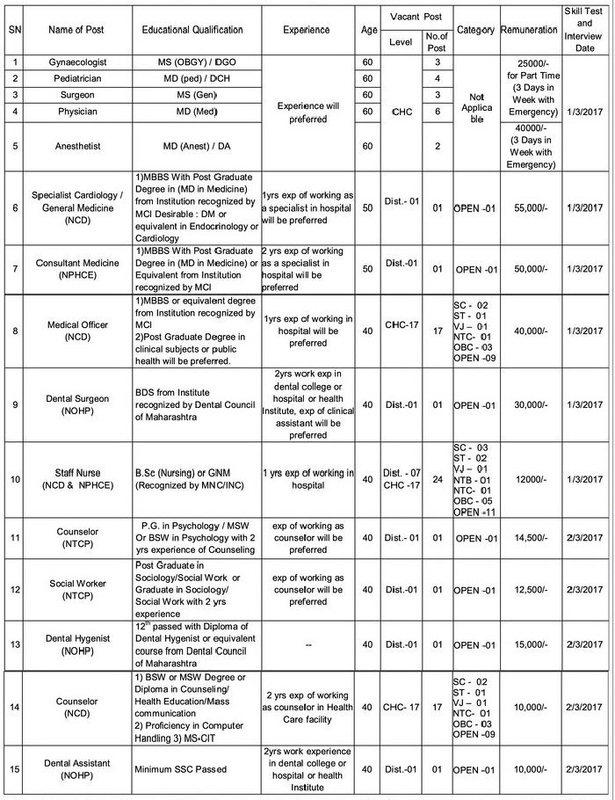 There are total 83 vacancies in Nanded District NHM Health Programs. Available posts are Gynecologist, Pediatrician, Surgeon, Physician, Anesthetist, Special Cardiology, Consultant Medicine, Medical Office, Dental Surgeon Staff Nurse, Counselor, Social worker, Dental Hygienist and Dental Assistant. 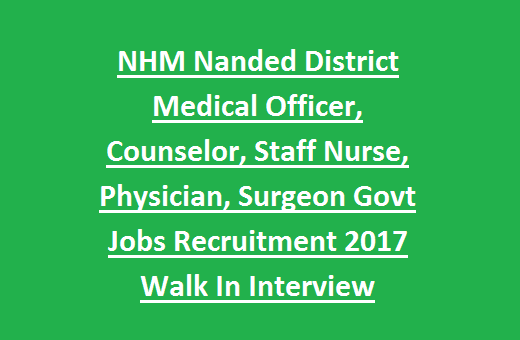 Selection for this NHM Nanded vacancies will be held through walk in interview and based on candidates qualifying exam marks percentage. Interested and required qualifications having candidates may attend the walk in interview on given dates of 01-03-2017 and 02-03-2017. Complete details regarding National Health Mission Nanded District Health department Counselor, Staff Nurse, Medical officer and other posts information is given below. 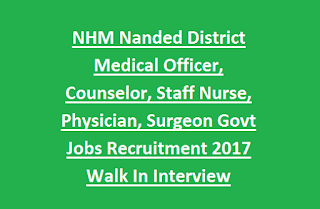 There are total 83 vacancies available in this current recruitment of Nanded District National Health Mission Walk In interview. For post wise details refer the official notification. 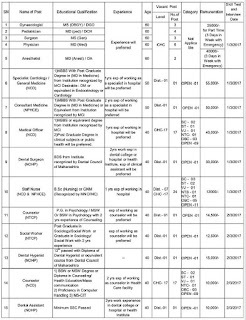 Selection for this National Health Mission vacancies of Nanded District will be held through walk in interview, Previous work experience and merit in educational qualifications. Eligible and interested candidates can attend the walk in interview as per given dates along with all required original documents and two sets of self attested copies. Before attend the interview must read the official notification clearly about the application procedure and walk in interview details.